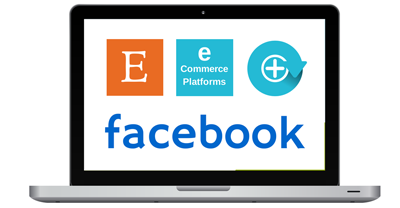 Do you want a Facebook store? If you live in Canada I want to remind you of Canada's new Anti Spam Law. I am sending you this email because you signed up to be on my list and I really appreciate that. If at any point you would like to stop receiving these emails I always include an unsubscribe link at the bottom of my emails and you are free to do so any time.I would, however be very sorry to see your go. I don't know if you already have a website or you are selling online, but I want to share some great tips on how to sell your jewelry online using Facebook. Did you know that most people who visit Facebook like to stay on Facebook? It can be pretty tricky getting them to leave through a link to go over to your website. I have to admit I rarely use my personal Facebook profile for socializing. I am usually too busy working, but it totally amazes me how much time most people spend on Facebook. People are on there not once, but several times a day... wow! I really am out of the loop when it comes to personal Facebook stuff, but I'll tell you what I do get and that is Facebook for business. 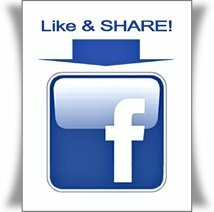 If you do not already have a Facebook page for your business I highly recommend that you start thinking about having one. There is a ton of neat stuff you can do and getting started early in the game will pay off down the road. I just wrote an article all about Selling on Facebook where I cover four super delicious apps that you can use to set up your products right within your Facebook page. Whether you sell on Etsy or Ebay or your own website it's all doable. I also share my three very favourite free online tools for editing photos and creating graphics. If you want to take it a step further, read my article on Using Facebook for Business where I share five tips on how to get better post engagement and six simple Facebook advertising tips.